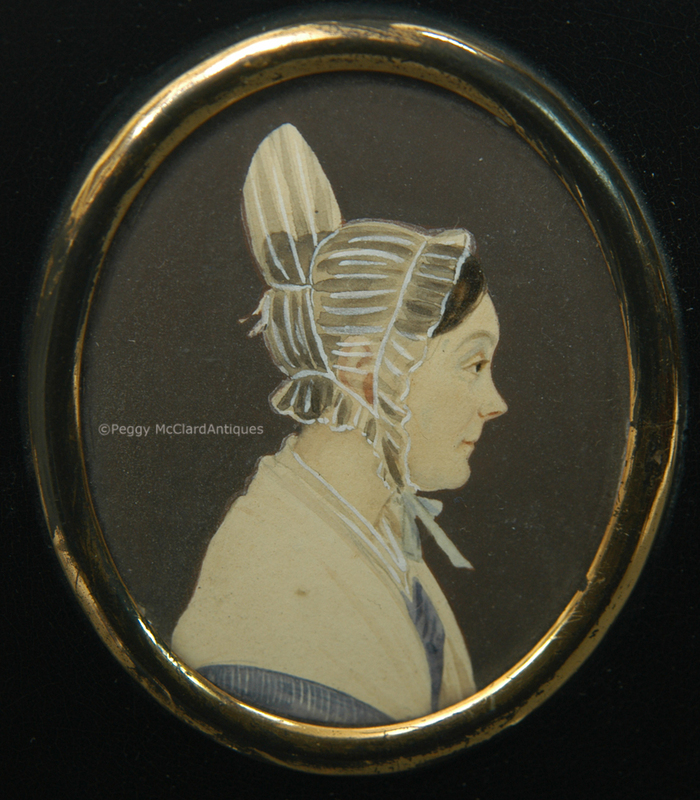 Sweet watercolor folk portrait of a woman with a translucent bonnet with a very high back to accommodate a tall hair comb. You can't see the comb, but that was the purpose for those very tall backs to bonnets. She faces right on a dark brown-grey background. The muted colors in which she is painted really pop against the dark background. In addition to her lovely bonnet, she wears a blue dress under a translucent tucker and a solid white shawl or small cape over her shoulders. 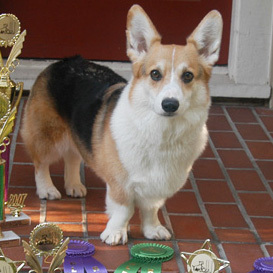 Her bonnet is tied under her chin with a blue ribbon. 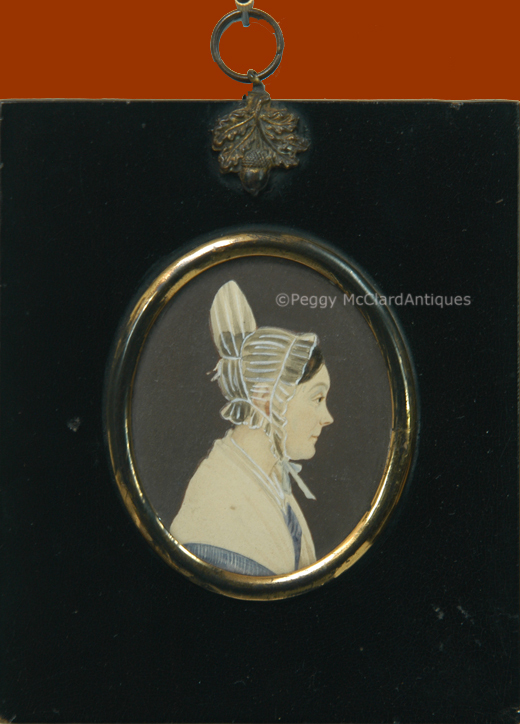 It is hard to accurately date this portrait miniature because the clothing is mostly covered by her shawl, but the bonnet indicates circa 1830 when Apollo knots were the popular hairstyle. Her papier mâché frame measures 4 3/4" x 4 with an image size of 2 1/2" x 2". It has an acorn hanger.